May is American Stroke Month. 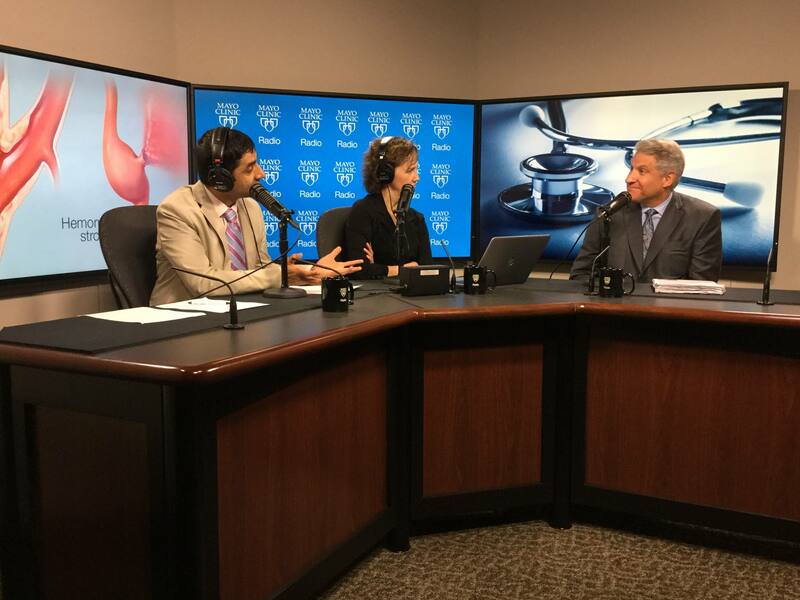 On the Mayo Clinic Radio podcast, Dr. Robert D. Brown Jr., a neurologist at Mayo Clinic, discusses the warning signs of stroke and tips for prevention. Also on the podcast, Dr. Jeannie Sperry, a psychologist at Mayo Clinic, explains how the Mayo Clinic Pain Rehabilitation Center can help those suffering with chronic pain. And Dr. Karen L. Andrews, a physical medicine and rehabilitation specialist at Mayo Clinic, discusses the challenges faced by amputees and how rehabilitation can help with the physical, emotional and social challenges they face.